This hotel, perhaps the oldest of those still in business, takes its name from the street. which we saw before at the Cape-to-Cairo pub. Selborne himself visited Bulawayo in 1906, and in the following year the Selborne Memorandum was published, advocating integration of Rhodesia into a British-led South Africa. 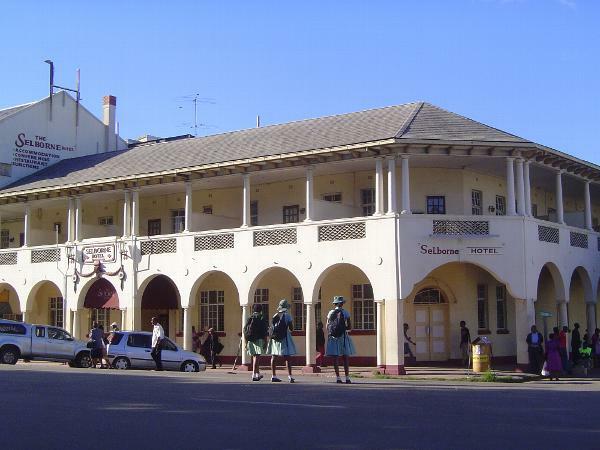 What had been Seventh Avenue was changed to Selborne for the occasion, only to be renamed in 1980 for Leopold Takawira.